1 Please make sure your shipping address is correct. 2 Item will be shipped within 2 working days(excluded Saturday, Sunday and public holidays) after full payment is received. 5. If you don't get the products after 30 days of your payment,please contact us.we can refund or resend.We can't control the shipping time,it depends on weather,flights and your location etc. Negative feedback does not solve anything,So if there are any issues with the purchase, please contact us before leaving negative feedback.we will be happy to assist you. Just send us a message,and we will answer within 24 hours. 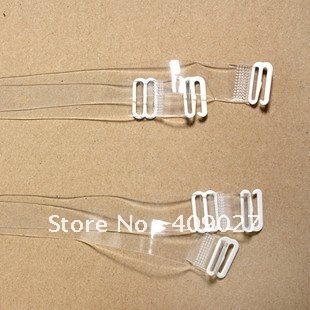 Senior silica gel invisible shoulder strap transparent shoulder strap beauty !